Our functional and adaptable systems aim to improve the training of vehicle drivers on airports. The objectives of reducing both safety risks and problems caused to ground operations leaded OKTAL to develop an optimized solution to enhance training and safety on the movement areas of your airport. 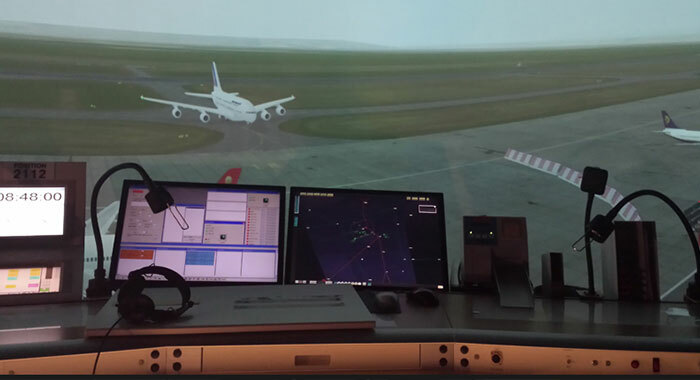 The simulator includes radio management and communication with Air Traffic Control and all procedures so that the trainee can make the right decisions in specific situations. The trainee drives in a functional cockpit which make him feel and react exactly as he would do in real life. He has to face several operational scenarios under the instructor’s supervision. The ADS simulator is a highly immersive and realistic solution which recreates the dynamic behaviors of vehicles. 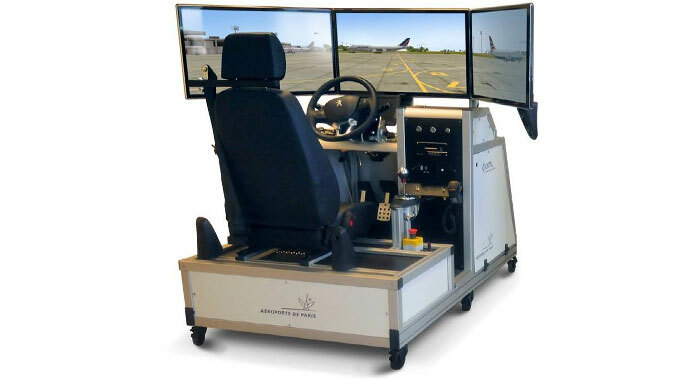 The faithful representation of aircrafts, airspace and procedures are the main causes why these simulators are used for both training and research purposes. It is used for example to study continuous descent approaches and other procedures improving air traffic flow. The SCANSIM range of product covers all ATC areas : from aerodrome control to approach and route control. SCANSIM’s modularity, ease of use and ergonomics allow to recreate a suitable, realistic and effective environment.